COLUMBUS, GA (WTVM) - Students got a chance to hear from a top business executive at the Columbus State University Turner College of Business Executive Speaker Series. 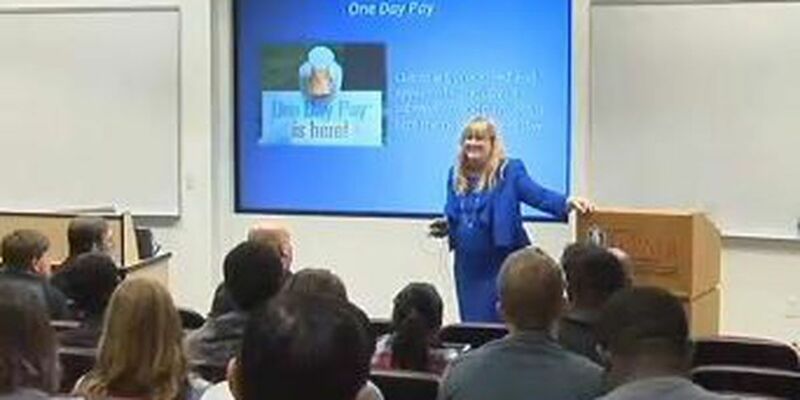 Julia Davis, Chief Information Officer of Aflac was the featured speaker for the event at the Center for Commerce and Technology building on campus. It was a full house as Davis spoke about ethics and leadership. She told the crowd how you can still be ethical and profitable for your company at the same time. "I think a student needs a pass in for what they are doing and their job," Davis said. "They need to focus on what they can do for their customers and their company and less on what they are doing for their careers." School officials say more guest speakers are being lined up to speak at CSU for the spring semester.